Every so often, I'll find these on my mirror, or posted next to our bed. :D that's lovely! 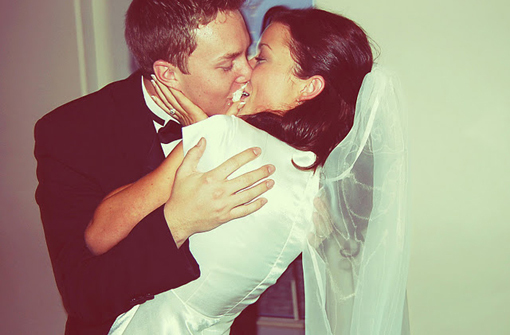 so you were a brunette when u got married :) cute! SO freaking sweet! I love it. You guys are adorable. oh my gosh you guys are so adorable!!! i can't help but love you guys through your blog!!! How sweet. What a keeper! Naww, that is so sweet. You are one lucky girl! so cute! I love leaving notes! He is too darn cute. Be happy you have something so great already:) While others search for years! Btw shocker your hair is so dark in that pic! Might you share more weddingphotos? who is that brunette he is kissing? you are a good wife! Awww! How is it possible for a guy to be so sweet and thoughtful?? You're so lucky! my husband does the exact same thing! sometimes with little stick drawings of us or our dogs. its so cute. i love getting them because they are always a surprise. this is so adorable!! your husband is one lucky guy and you are so blessed to have him. you guys look perfect together! how cute!!! I sometimes leave little notes for my cute hubby! I think it's so fun. you guys are adorable and have such a strong love for one another! That's so sweet, you lucky girl you! that is beyond adorable. and very foreign to me! i would love to see more pictures from your wedding :) brunette?! Must see more wedding pictures! that's so sweet! i love finding little notes like that! oh my, that picture of y'all made my heart skip a beat. i hope to find love like that one day! oh come on! this is so sweet!! 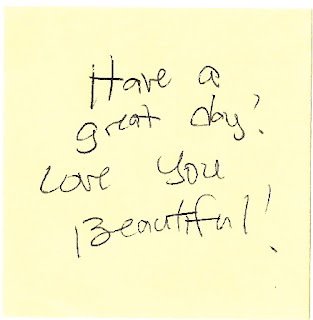 I'm adding "unexpected love notes" to my list of things my future hubs will do! for a minute there i though husband was kissing some other babe. wowza i like the dark hair. and that dress looks like simple perfection! awww post more wedding pictures! Yup, I'd say he loves you! And I love how much you guys love each other...it's so fantastic to see! Thanks for sharing it all with us! That Tyson loves ya so much! Aww that is so cute! And what a lovely picture :) Thanks for sharing, Sydney. You two are adorable! I love this because it's so important to keep romancing your lova' even when your married. I like to hide my love post it notes in random places like the cupboard or in his dresser drawers so he finds them throughout the day. AH it makes me smile. would be great to see more happy wedding photos AND see you as a brunette. So cute!! Let's see more of those wedding pics!! ahhhhh this melts my heart. you guys are adorable! it is he little things indeed that make a girl melt... he sure loves you darling! please let me find love as sweet as you & your husbands someday. seriously. the mushy stuff gets to me. I like the boy handwriting. How adorable! You look gorgeous in your wedding picture...could you post more pics of you as a brunette? I'm always interested by people who can pull off both! your husband is so adorable! And I totally did not recognize you in your wedding pic! Post more brunette pics please! Awwww SOOOO cute. I hope my boyfriend and I are that cute. i think i should have my boyfriend read your blog, maybe he'd get some ideas from your husband and see that it's ok to do cheesy things. that's what girls love =) this is adorable, and your hubby is a sweetie! Musshhyy...there's nothing like sweet lovey notes to make your day. Especially the surprise ones. Because everyone knows those are better. And I'm a sucker for a good old kissy cake picture. Messy kisses are, of course, just the funnest. Ah! So lovely. Notes like that are some of the best things in life. This is THE cutest picture! I love how the cake is smooshed between you. So dang cute! When my bf was deployed I would send him goodies and put little sticky notes in there so he could have a constant reminder how much I loved and missed him. ok puke all over me so cute!!! Hello I am new to blogging and I found your blog on a friends page. I absolutely love it! I have always loved fashion, and have been so inspired by your blog. 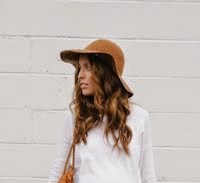 I love getting fashion ideas form your blog and using the clothes I have to create similar looks. Thanks for the inspiration! You guys are MEGA cute! You should post those back to him in random places like lunch bag, gym bag, wallet, or steering wheel! He'd prob think its cute too! Thanks for sharing the cuteness! he does! i love love. super cute. super mushy. just the way we like it :) sooo maybe your hubs starts a blog teaching other boys how to woo the wife? yeah? i think so :) my hubby tries but romance is just not his forte. still love him TO DEATH. oh my gosh! you were a brunette! Can you post a pic of you brunette? Where we can see your face? So sweet! you guys are toooooooo cute!!! I sometime leave him a note in his lunch box. awe, this is totally adorable. Ooooooo that's so stinkin' sweet!! Dark hair? Whaaatt?! HOW CUTE.